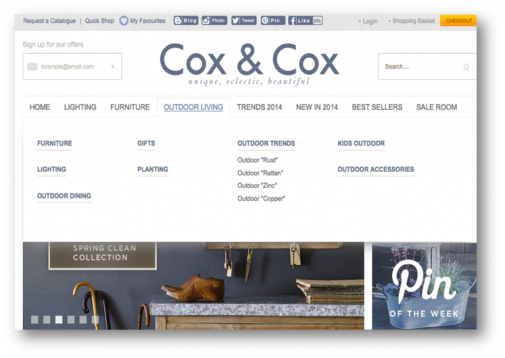 Homeware retailer Cox & Cox turned to AWA digital in 2014 to give its web sales a boost. Managing Director, Rod Taylor explains: “We had more than 3,000 unique visitors to the site every day, but only 200 converting, so I realised that we were leaving a lot on the table.” Rod believes in hiring experts in the field and decided to work with AWA based on a personal recommendation. 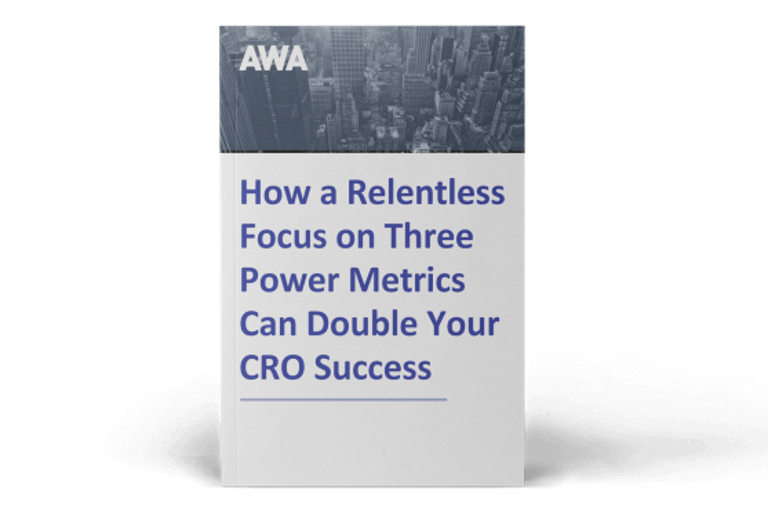 AWA’s Chief Operations Officer Johann van Tonder, who led the project, needed to dig deep to find improvements as the Cox & Cox site was relatively well optimised with a higher than average conversion rate. However, once research began in earnest, it was clear that more could be done and a number of features could be improved. “We initially recommended focusing on navigation and product pages as the two areas most likely to bring significant results.” The AWA creative teams designed new web pages, which were A/B split tested. In a series of controlled experiments, two different web pages were shown to visitors. This did not require any re-coding of the main site. Half saw the original web page and the other half a new, improved page. Only when the new page was proven to win more sales would it go live. 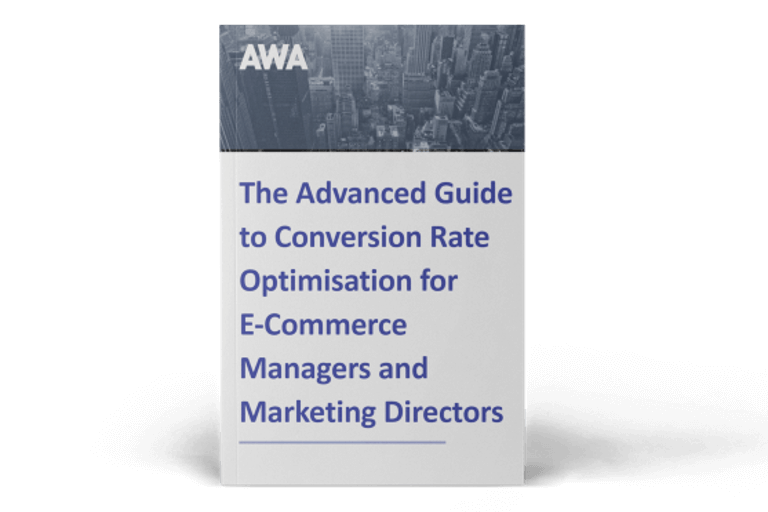 After carrying out six strategic split tests and analysing the results, the cumulative results from the first phase of AWA digital’s Conversion Rate Optimisation (CRO) programme for Cox & Cox showed an overall increase in Revenue Per Visitor (RPV) of 107%. Read on to find out more about the tests and the results each one yielded. The first test was described by Johann as ‘a rapid needle mover’. 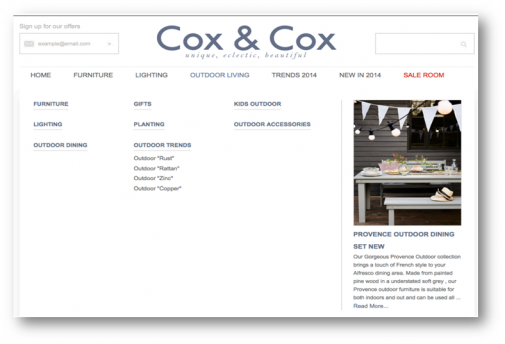 AWA digital’s usability research suggested that the size of the dropdown box on Cox & Cox’s homepage was too large and obscured the main site content, affecting the buying process. A new page was designed making the dropdown area smaller and more defined to improve the experience for the customer. Sometimes, tiny alterations can make a big difference. In this test, just two words is all it took. Customer research revealed that categories such as ‘lighting’,’ furniture’ and ‘outdoor living’ were well understood. 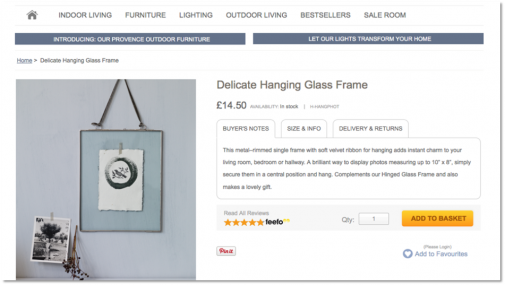 However, one section was labelled ‘home’ and positioned in the left hand corner, causing customers to confuse this with the website homepage. 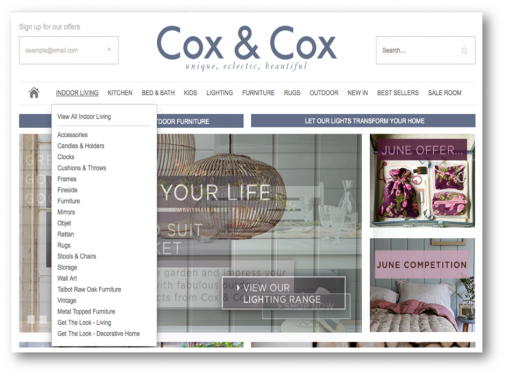 During usability research, Cox & Cox customers complained about the lack of intuitive navigation on the website and said that there were too many product sub categories listed on one page. 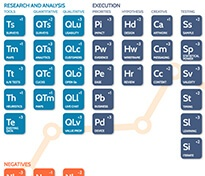 Said Johann: “After carrying out usage pattern analysis, we discovered that many of the categories on the right hand side were ignored altogether. “We suggested reorganising the dropdown structure and creating fewer categories to increase the Revenue Per Visitor. Usability testers told us that one of the key questions that they were trying to answer on the product page was whether the item they had set their heart on was in stock or not. AWA suggested making the delivery information less prominent and instead highlighting the availability of products in a 'In stock, ready to ship' feature. When AWA started working with Cox & Cox, many of the products sold on the site were represented by just one or two images which didn’t show them to their full advantage. Said Johann: “We know from our experience that customers interact very closely with product images and want to replicate the experience they would have handling the item in a retail environment. To address this, AWA suggested that Cox & Cox provide a number of images for each product. As part of the Conversion Rate Optimisation programme, Cox & Cox organised a re-shoot for 20% of its products using this formula and a split test was carried out. This resulted in a 23.9% uplift in Revenue Per Visitor on the products tested, equivalent to an 11.95% site-wide Revenue Per Visitor rise. In addition to this significant uplift, this test was announced as the 'Product Page - Gold Award' winner in the WhichTestWon 6th Annual Online Testing Awards, beating entrants from all over the world. 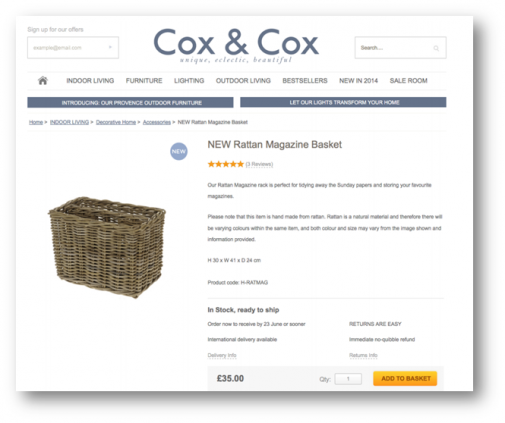 Analysis of the Cox & Cox website showed that product information did not answer key questions and was not structured in the way most likely to convert visitors to customers. AWA carried out a copy audit and proposed a new template to ensure that key details were properly organised and included, such as buyer’s notes, size information and delivery details. The text for thirty products was re-written by AWA's professional copywriters and a split test was carried out, resulting in a massive uplift of 36.7% in Revenue Per Visitor.